Adding to the pressure is also the fact that this series has been dubbed into English and shown on Cartoon Network, which is a now a sadly rare thing in an age of streaming video sites. And then on top of all of that, the bastion of mainstream media The New York Times took notice and just ran a feature story on the show which added an extra level of hype that’s never been seen before. 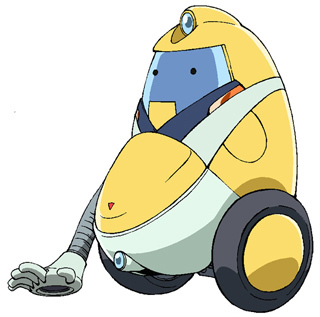 So how did our dandy do? 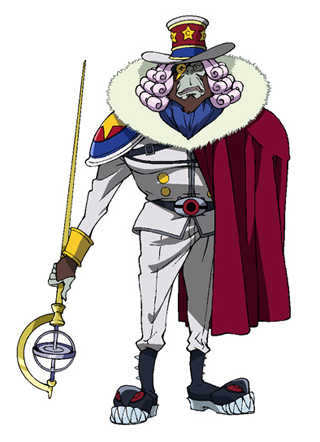 The first thing that hits you about this show is that it’s clearly a comedy above all else: So if you’re expecting a serious dramatic series like Cowboy Bebop you’re going to be badly let down within the first five minutes of viewing. 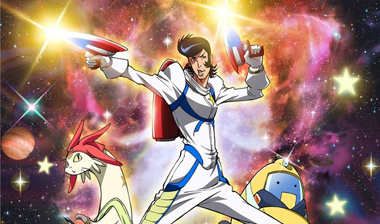 However if you’re willing to “Live With the Flow, Baby” (the title of the first episode) dandy is an entertaining joy ride. 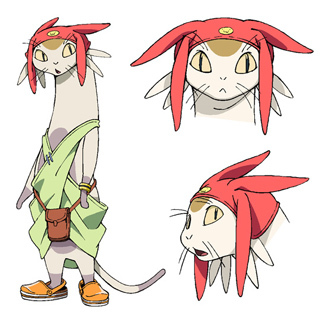 The production value is top notch: The variety of the character designs is beautiful, the quality of the animation is fluid, and the quick paced story keeps you going. 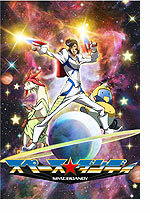 The frivolous tone of the show reminds one of the classic 80s Don Bluth laserdisc game Space Ace and the Captain Sternn segment of the animated Heavy Metal film from 1981. 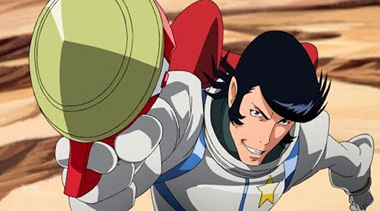 Although the candy colored universe that Space Dandy exists in is much more textured and dense under the surface than those early efforts, and you can tell that there was a great deal of thought into every little detail from the spaceship designs to the soda can labels. On a down note the one aspect of the show that may not go over well with a broader audience is that there is a great deal of cheesecake humor aimed at guys which can feel a bit sexist at times. 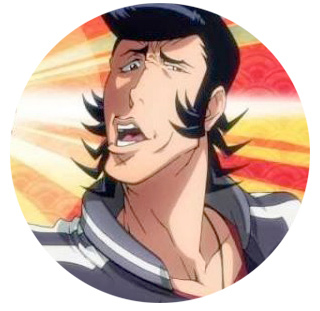 So for example the first episode starts with Space Dandy (who looks like a typical Japanese biker greaser) lecturing his robot co-pilot about the various merits of female anatomy — and then on cue his spacecraft promptly proceeds to a Star Wars version of Hooters. While one might argue that within the context of the Adult Swim demographic that this is to be expected, I wonder if this may close doors with a wider public that might get turned off. 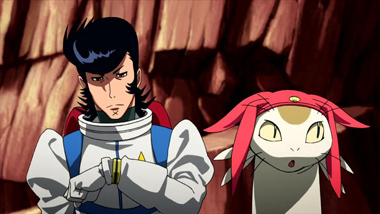 However in the bigger picture Space Dandy never commits the theatrical sin of being dull for a moment. 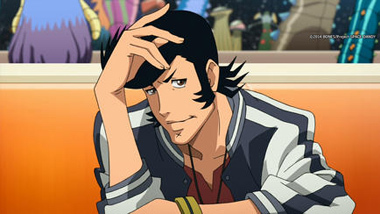 And to be fair to Shinichirō Watanabe, he is known for building up a story over an arc of episodes so it’s hard to judge Space Dandy as a full series from the first show. And given that the next episode is about a “galactic quest for phantom space ramen” I have to admit that I’m intrigued enough to keep watching. 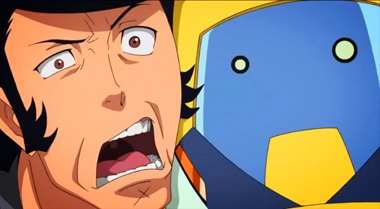 So while I may no longer be expecting Space Dandy to bring in next great wave of anime, I will be following the show with great hope that it turns into something more interesting. 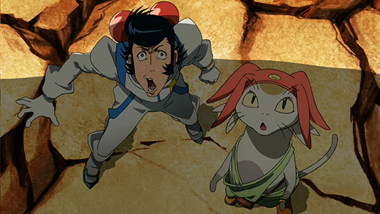 Below: Scenes from Space Dandy. 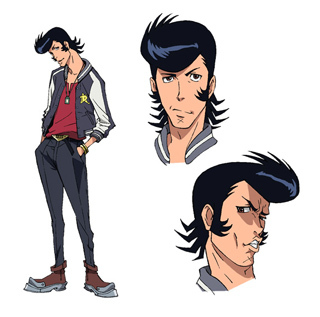 Below: Character designs from Space Dandy.